If you’ve just graduated and are finding it tough getting a job in your chosen career or profession, the fact is that you are not alone. The last few years have been tough for anyone seeking employment but probably even more so for graduates, especially those with little or no real work experience. Exam grades and qualifications are all very important, however for some employers, the key element that they value most is proven practical work experience. If you are a graduate and are somewhat lacking in this key requirement, then perhaps it’s time to see how you can remedy it. In a bid to help, we’ve highlighted here 5 Ways for Graduates to Get Work Experience. Many organisations, particularly those in the charity or social enterprise sectors regularly have open calls for volunteers to assist them with in all aspects of their businesses. Undertaking voluntary work can not only develop important employable skills such as communication and team working skills but also can provide valuable practical work skills that are transferable to many other areas. If you are considering volunteering, as well as perhaps approaching organisations on a speculative basis to ascertain if they need help, you could also try using one of the volunteering platforms such as Do-It or VInspired . 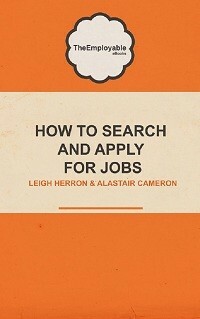 Check out also our guide to how volunteering can boost your employability. They may have received a lot of bad press in recent times, but that doesn’t mean that all internships should be viewed in a negative light. Internships can provide an excellent way for graduates to develop essential career and job specific skills and can often provide an opening to permanent career opportunities. Most of the bad press has been around the exploitation issue and the fact that some employers are using internships as a way of getting cheap or even free labour. There has however been such a backlash against such employers and so much publicity around this subject that it is relatively easy to do a little research online and determine whether or not an organisation’s internship programme is really worthwhile or of any real value. Always do this before committing to anything. Also, check out sites that advertise paid internships such as Graduate Talent Pool so you can be sure you will be financially rewarded for any work experience that you gain. Although many organisations have streamlined their Graduate programmes, there are many others that still recruit new graduates to such schemes every year. Your university careers service, the website Milkround and companies’ own websites are all useful sources of reference for finding out who is recruiting graduates. The Knowledge Transfer Partnership (KTP) programme is another excellent scheme where graduates can gain proper work experience as well as gaining an additional qualification. Again, this can often lead to permanent employment opportunities. Although perhaps not as popular as some of the other options listed here, if you can undertake some work shadowing it can benefit you from a work experience perspective. It generally entails shadowing or spending some time with an employer or career professional with a view to improving your knowledge of a particular job type or career sector. Generally securing a work shadowing opportunity will arise through being proactive and speculatively contacting employers and also through networking. Although work shadowing does tend to be for relatively short time periods, it can nonetheless still be worthwhile. The key thing is to display commitment, genuine interest and enthusiasm for the job, career or industry and to learn what you can in the limited time you have. Remember all experience regardless of how long it is for, is worthwhile. Although your long term aim may be a career in a particular market sector, that may not always be possible to achieve from the off. It’s important therefore not to automatically dismiss other job opportunities because you deem them irrelevant to your chosen career. There are often part time positions advertised particularly in areas such as retail and hospitality and they can be beneficial, even on an interim basis. Such positions will help develop your overall employability skills and may even open your eyes to consider another career choice. You may feel right now that Retail Management is not for you; however you may feel entirely differently if you actually start working in the sector and see what that type of role is really like.